Hancock: Dorothy L. Nutini, 93, of Hancock, passed away on Sunday evening, June 10, 2018 at the Pewabic House of Portage Pointe after a long struggle with Alzheimer's Disease. Dorothy was born on January 7, 1925 at Beacon Hill, a daughter of the late Louis and Emelia Marinelli. She was a graduate of Hancock Central High School. Dorothy worked in the family businesses, the Venice Cafe and Nutini's Supper Club for many years. She worked as a nurses aide for 5 years at St. Joseph Hospital in Hancock. She then began her food service career at Michigan Tech for 17 years until her retirement in 1987. She often treated many of these students as her own. Dorothy was united in marriage to Julio Nutini on August 11, 1949. He died on July 10, 1988. She was a member of the Church of the Resurrection in Hancock and it's Altar Society. She was also a life-long member of the Daughters of Italy and was involved in the local Democratic Party organizations. Dorothy was a caring, generous, fun loving person who loved to dance and socialize with her many friends. She would often cook for anyone who would stop by her home. Besides her parents and husband, she was also preceded in death by two sons, Michael and Anthony; a brother, August Marinelli; a sister, Ann Olson; and her best friend, Edward Lee of L'Anse. She is survived by her son, Robert (Paula) Nutini of the Hancock Canal, 4 grandchildren: Gina, Bella, Christian, and Santino; and by several nieces and nephews. A Mass of Christian Burial will be celebrated at 11:00 A.M. on Friday, June 15, 2018 at the Church of the Resurrection with Rev. Fr. William Ssozi to officiate. Burial will be at Forest Hill Cemetery in Houghton. Friends may call at the church from 9:30 A.M. until 10:45 A.M. on Friday before the mass. Her family would like to thank Portage Pointe, especially the Pewabic House staff for their wonderful care, compassion, and kindness shown to Dorothy during her residence there. 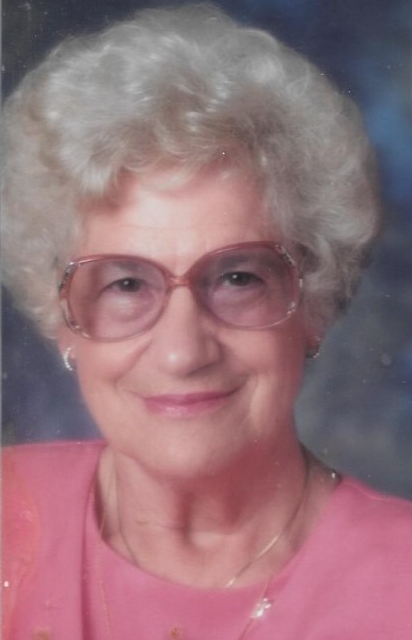 In lieu of flowers, memorials may be directed to Little Brothers~Friends of the Elderly, 527 Hancock Ave., Hancock, MI 49930 or St. Vincent DePaul, 204 Quincy Street, Hancock, MI 49930 in the name of Dorothy Nutini. The O'Neill-Dennis Funeral Home of Hancock is in charge of the arrangements. To send online condolences, please go to www.oneilldennisfh.com.